One in three women will experience domestic violence at some point in their lifetime. According to the Violence Policy Center, 1,388 women were murdered by men they knew in 2014, and 870 of those murders were committed by an intimate partner of the victim. That's more than two women a day who are killed by their partner. "Seeing the signs" of an abuser implies that survivors carry some level of responsibility to prevent their own death. While being proactively cautious is a useful skill for anyone entering a relationship, most advocates would agree that the reality is abusers are cunning, deceptive and manipulative. They can start out as the most romantic and thoughtful partners. Their tactics of power and control begin with earning a survivor's trust and then slowly eroding that trust through psychological, verbal and even physical abuse. Bottom line: If you've endured life with an abusive partner, it was not your fault. Maybe there were red flags and warning signs, and maybe there weren't. But many survivors agree that, upon looking back, they can see some of those early signs of abuse stand out in a way they didn't when the abuser first appeared in their life. Pressures you to move fast in a relationship or pushes for immediate commitment. Has been abusive in previous relationships. Believes in stereotypical gender roles and male supremacy, or is domineering. Is continuously jealous and possessive. Isolates you from your friends and family and may try to persuade you not to have a job. Has two sides to his or her personality—others see your partner as a good person, but behind closed doors, he or she is angry and aggressive toward you. Experiences most emotions in the form of anger and has difficulty conveying other emotions. Has a violent temper and quickly changing moods. Is cruel to animals or children and is insensitive to their suffering. Monitors your whereabouts, activities or spending. Does not listen to you when you say "no" or try to assert your boundaries. You should consider taking a pause before entering into a relationship with a partner who matches one of more of these warning sign. 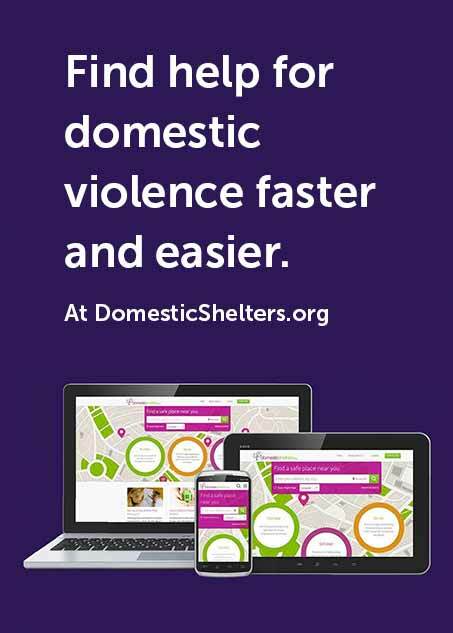 When in doubt, talk to a trained domestic violence advocate. It may help to hear what someone with years of experience thinks, especially when your gut instinct is to be wary. Amy Borst, clinical director of the Orange County, Calif., domestic violence shelter Laura’s House, says that victims who find themselves with an abusive partner should also be aware of the warning signs that indicate the situation is escalating into a more violent one. “There’s a shortening of time between abusive incidents, along with threats of physical or bodily harm,” says Borst. Another indicator is when the abuser obtains the means by which the threats are made, such as purchasing a gun. Bottom line: If you feel threatened by your partner, don’t wait to get help.